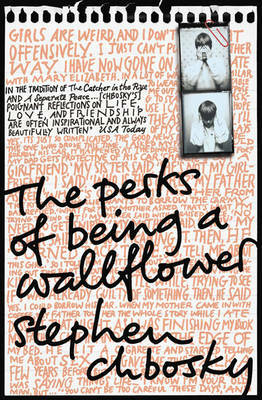 The Perks of Being a Wallflower by Stephen Chbosky was published in 1999 and became an instant bestseller. However, despite its commercial success, the novel was relatively unknown until the film adaptation was released in 2012, with a cast including Emma Watson of Harry Potter fame. It’s been compared to Catcher in the Rye due to the protagonist characters of both novels being socially inept and trapped between childhood and adulthood. In the novel, the central character, Charlie, is a teenage boy in high school. Charlie is an outcast compared to his classmates as they have friends and are in relationships, whereas Charlie is alone in this respect. His only friend commits suicide, exacerbating his loneliness. Hence, he is a wallflower, who observes events in school and at home as if he is watching from the walls and is invisible to the world. As the novel progresses, Charlie attends parties and experiments with underage drinking and drugs, as he attempts to leave childlike innocence behind by moving towards the dangerous, yet exciting milestones of adulthood. Moreover, the fact that Charlie is experimenting with new experiences and ideas is a universal feeling which everyone encounters no matter what stage they are at in life; whether they’re a secondary school student, in university or adults in the working world. This adds to the novel’s broad appeal to reader audiences and explains its growing popularity within the young adult and older generations. However, The Perks of Being a Wallflower has been met with controversy, an inevitability that comes with success. This is because of the mature content including sexual experiences, as well as the vividly described alcohol and drug consumption at the parties. This is actually what makes it an ‘essential read’ – the portrayal of peer pressure throughout the book, with Charlie reluctantly participating in adolescent rituals. Peer pressure is universal as teenagers feel compelled to undertake actions that they’re not ready for but if they don’t participate, they face rejection. The reader feels as if they grow with Charlie, which is key to the novel’s appeal. Communication is usually difficult for teenagers, but the first person narrative of the novel enables the reader to view situations from an original perspective.